"We are preparing a car that will be neutral to the environment - transportation without guilt over the environment," says Nissan and Renault President and CEO Carlos Ghosn. "We are emphasizing zero emissions. It's a territory we want to own, and we are taking all the initiatives necessary to make it happen." "At Nissan, we firmly believe that the ultimate solution for sustainable mobility lies in zero emission vehicles," says Carlos Tavares, Nissan's Executive Vice President. 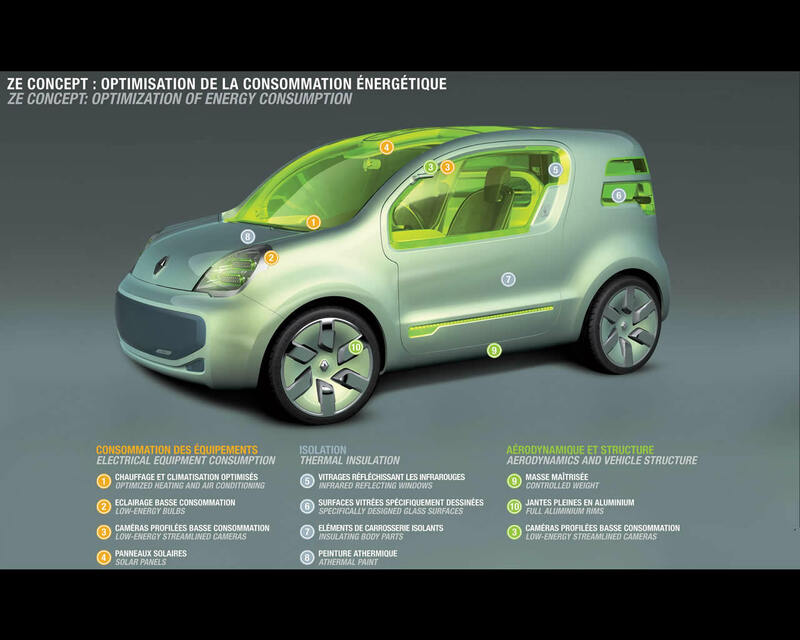 "The agreements signed by the Israeli government, Better Place and the Renault Nissan Alliance on January 21st 2008 allowed us to envision commercializing, for the first time ever, vehicles independent of oil and totally environmentally neutral. After Israel, a number of countries have chosen the same path," says Patrick Pelata, Renault's Chief Operating Officer. 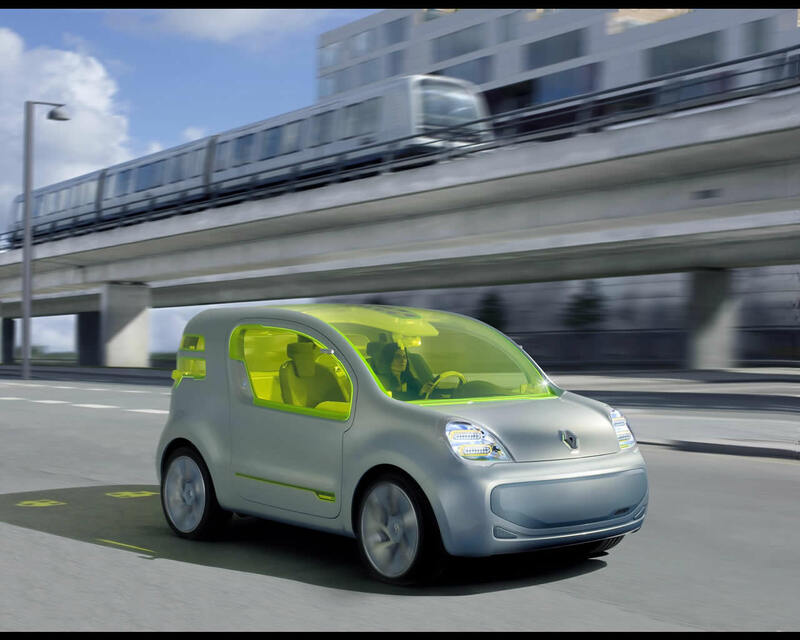 The Renault Nissan Alliance will develop a range of high quality electric vehicles that are safe, well engineered, attractive, affordable and fun to drive. 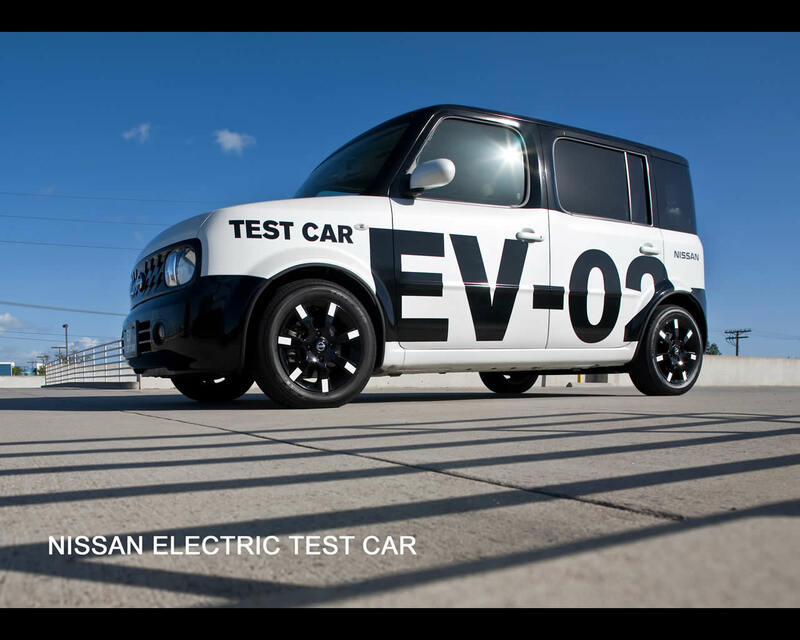 The first Nissan all-electric vehicle will be introduced in the United States and Japan in 2010, and Nissan will begin mass-market electric vehicles globally in 2012. Renault will launch different all-electric models on the market from 2011, starting in Israel with a family sedan and in Europe with a light commercial vehicle. The Renault Nissan Alliance is negotiating contracts around the world with governments, States administrations and municipalities to ensure that proper incentive is granted to the introduction of electric vehicles. These contracts also involve Electric Power Companies and infrastructure builders like Better Place in order to prepare the infrastructure for battery charging and battery swapping stations on each territory; There must be a network of charging stations as there is today with gasoline and diesel fuel filling stations. Some 30 such contracts have already been signed with Israel, Denmark, Portugal, Monaco, Ireland, France (EDF), Italy (Lombardy - A2A), Switzerland (Energie Ouest Suisse) in Europe, Tennessee, Oregon, North Carolina in the United States, Yokohama and Kanagawa Prefecture in Japan as well as some 13 cities in China, to name some examples. "Electric cars can transform our industry," says Carlos Ghosn, " and we are playing a leading role in this change. We became involved from the beginning, we are taking a position, we are investing, we are developing technology, and we are securing the patent and intellectual property around the battery. We want to make sure that Nissan and Renault will come first and will be leaders in a very promising technology." 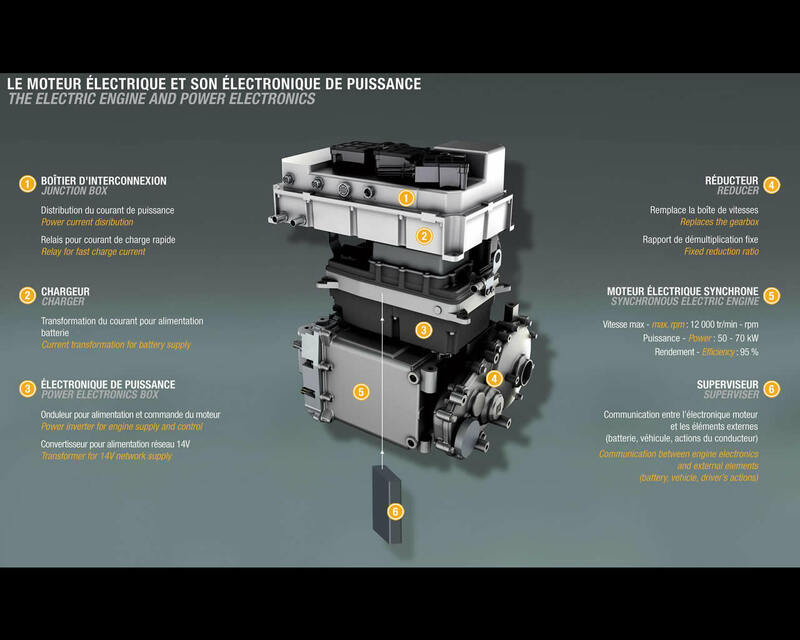 The electric vehicles that Renault will commercialize starting in 2011 will be electric versions of thermal-engine vehicles already planned for the Renault line-up. The first one will be an electric version of a medium-sized family sedan, whose sales are to begin in Israel and Denmark, before being extended to other markets. 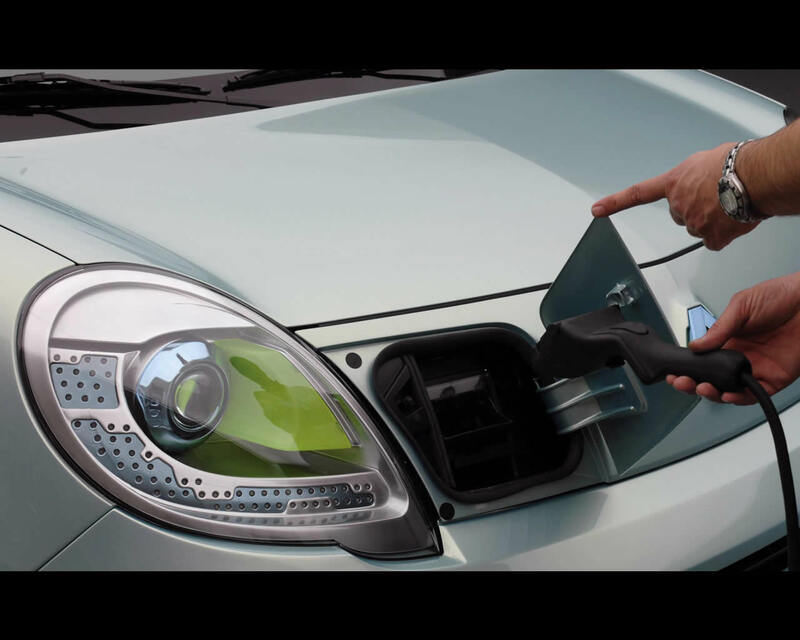 The second electric vehicle, also to be sold in 2011, will be an electric version of the Kangoo for professionals and fleets. This car will be inspired by the ZE (Zero Emission) Concept ca, which was revealed at the Paris Motor Show in October 2008. 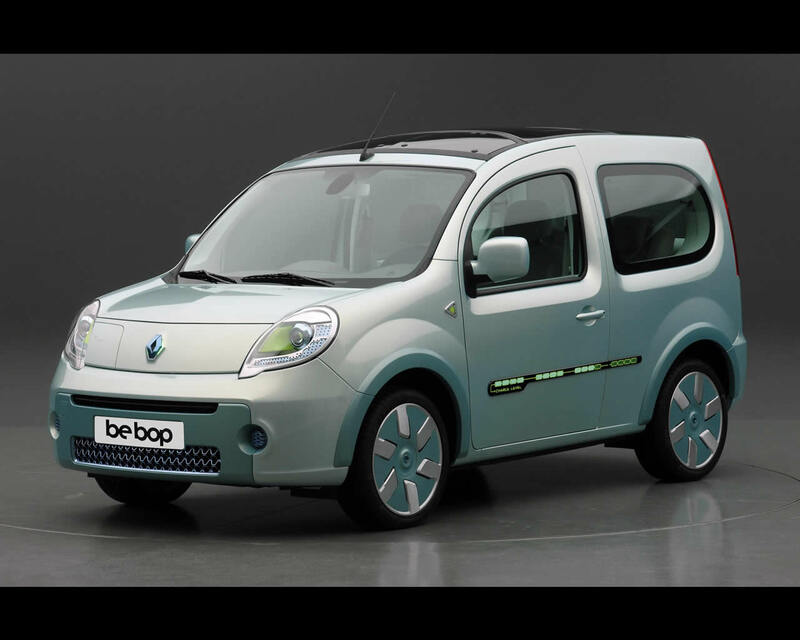 An electric version of the Kangoo Bebop was released and is available in July 2009 for fleet test and demonstration. Beyond 2012, the EV range will continue to be extended across all segments, beginning with two smaller vehicles that will have a distinctive and innovative EV design and which will be conceived exclusively as electric cars. The electric vehicle Nissan will introduce in 2010 will have a unique body style on an all-new vehicle platform. The design of the vehicle is said to be introduced in 2009 at the latest at the Tokyo Motor Show. 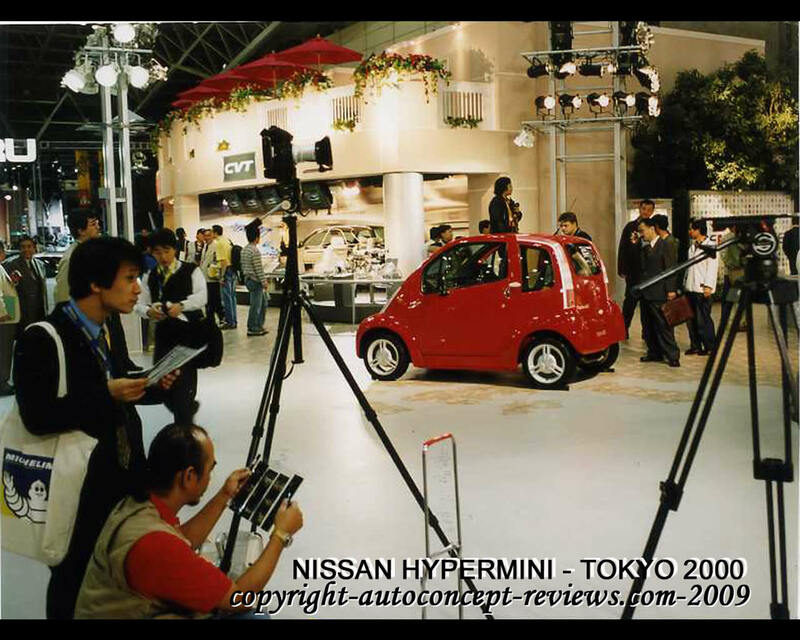 Nissan has been involved in research and development of electric car batteries since 1992. Several Nissan Electric concept car have been introduced like the Hypermini at 2000 Tokyo Motor Show or the NUVU at 2008 Paris Motor Show. Nissan has created a joint-venture with NEC Corporation, called Automotive Energy Supply Corporation (AESC). AESC is starting production in its plant in Japan with initial production rate of 13.000 units/year with gradual ramp up to 65.000 units/year by 2010. Other lithium-ion batteries plants are scheduled in Tennessee (USA), United Kingdom and Portugal. AESC's lithium-ion batteries employ a compact module comprised of laminated-type cells, that contribute to more efficient packaging. These batteries have twice the energy density of conventional nickel-metal hydride batteries employed today in hybrid cars. The Renault Kangoo Be Bop Z.E. Electric Vehicle Demonstrator introduced in July 2009 is powered by a 44 kW (60 hp) electric motor and is equipped with a 15 kWh battery. 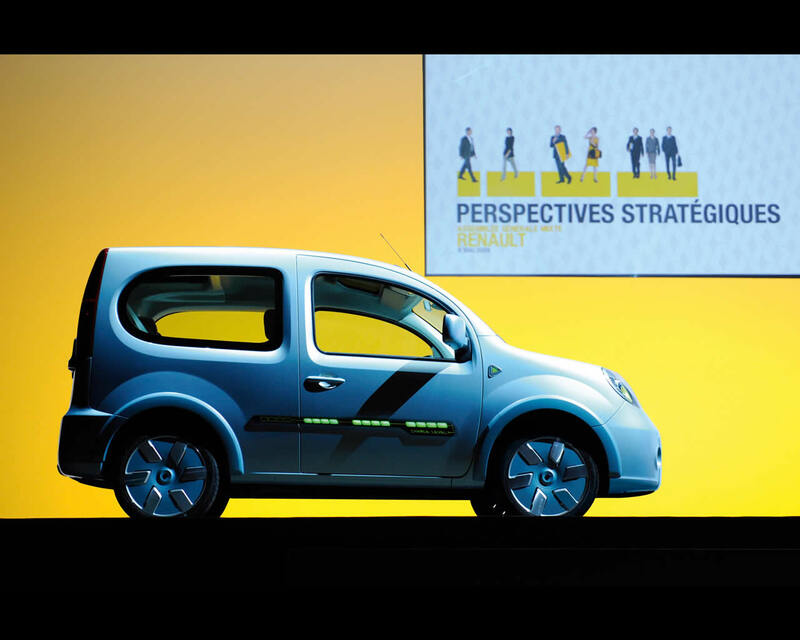 With 18 months remaining before the release of Renaults forthcoming production electric vehicles, Kangoo Be Bop ZE provides a range of approximately 100 km. 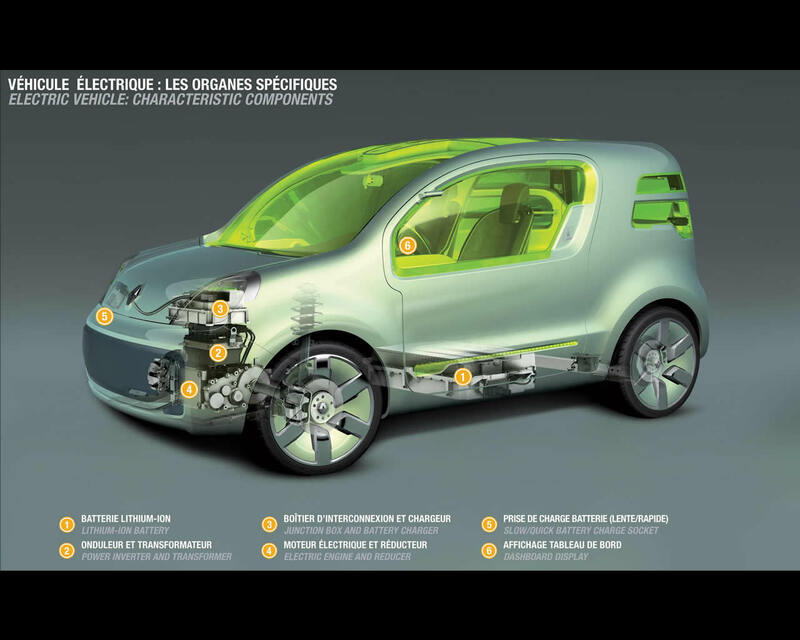 By the time of their launch, Renault's electric vehicles should have benefited from an evolution to their battery technology which will take their range to 160 km. The electric motor boasts energy efficiency of 90 per cent compared to the 25 per cent of internal-combustion engine. This motor revs to 12.000 rpm and immediately delivers peak torque, which is a constant 190 Nm. Acceleration and pull-away from low speed are particularly responsive. The electric motor is coupled with a reducer which replaces the gearbox traditionally mated to internal-combustion engines. This reducer has a single output ratio and ensures linear, step-less acceleration. The electric energy is transmitted to the motor via a power electronic unit which incorporates a controller. This transforms the 400 Volt direct current from the batteries into three-phase alternating current to power the motor's rotor and stator. It also regulates the power and torque of the electric motor. Situated near the controller, the convertor converts the 400 Volt direct current stored in the batteries into 12 Volt direct current to feed the Kangoo Be Bop ZE's conventional onboard electrics and auxiliary functions (interior and exterior lighting, audio system, electric windows, etc.). The Junction Box distributes the power current to the motor functions (battery, climate control and heating systems). This junction box also includes the charger which converts the 220 Volt alternate current into 400 Volt DC for battery charging purposes. 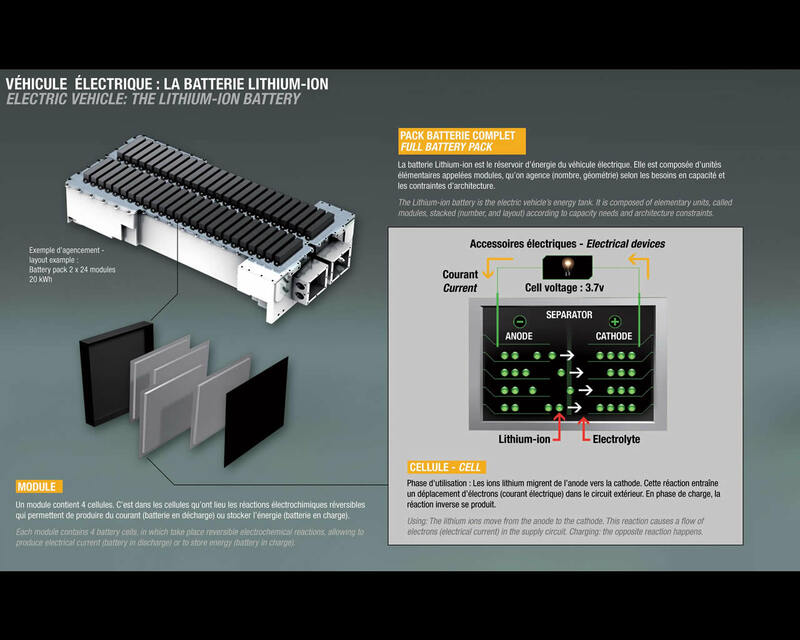 The latest generation lithium-ion battery comprises 48 power modules, each of which incorporates four elementary cells. The AESC battery has undergone extreme durability tests demonstrating average runs of more than 100.000 km in field tests. The 250 kg battery is housed underneath the floor, between the front and rear seats. Its installation necessitated several modifications to the structure compared to the standard Kangoo Be Bop. The central section of the Kangoo Be Bop's floor was modified to house the battery without having to modify the wheelbase. To accommodate the battery, the floor is 45 mm higher. The battery of the production electric Kangoo Express will be located underneath the boot floor, without affecting cargo space. The battery is cooled by ambient air flow thanks to the heat dissipation properties of the aluminium casing. The charging of the battery can be performed via a conventional household mains supply (10 A or 16 A 220 V) between six and eight hours. A faster charge using 32 A 400 V three-phase socket (infrastructure in the process of being developed) allows 80 per cent charge in approximately 30 minutes. Although Kangoo Be Bop ZE is not equipped for rapid battery exchange, this facility will be available on the other vehicles of the future range. The weight of the Kangoo Be Bop ZE is quoted at 1.591 kg.